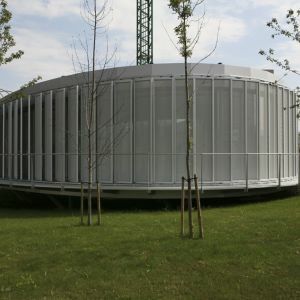 Project in the visitor centre of the Sewage Treatment Plant Galindo, the entity responsible for managing the main water grid of approximately one million inhabitants of Bizkaia. 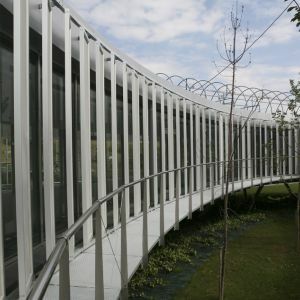 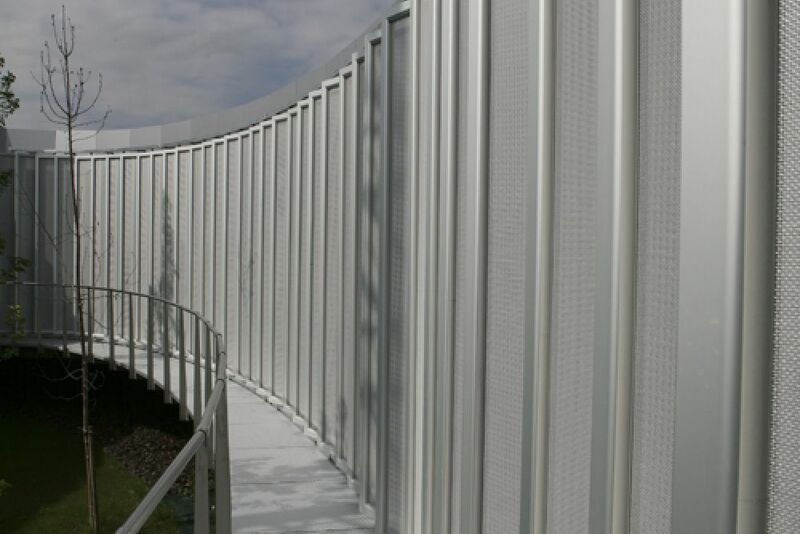 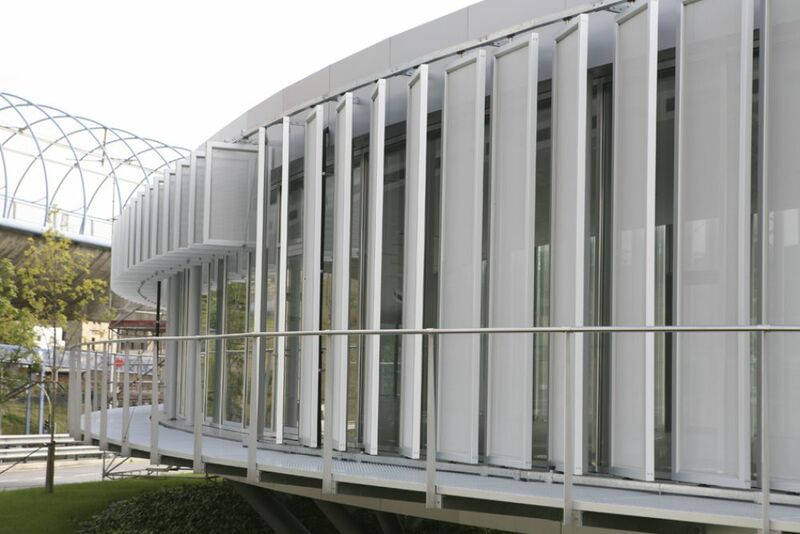 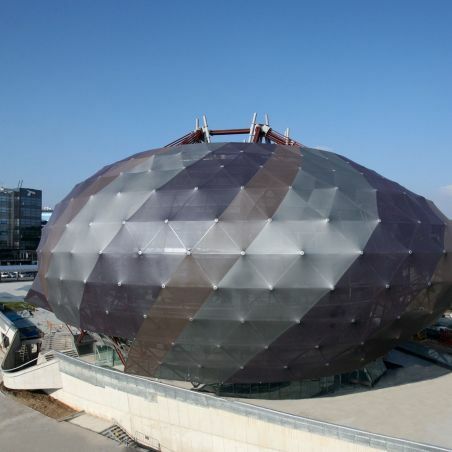 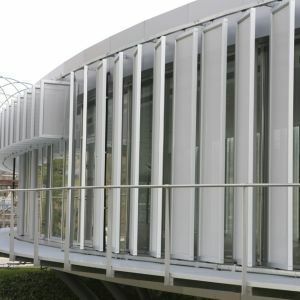 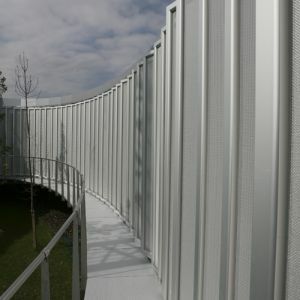 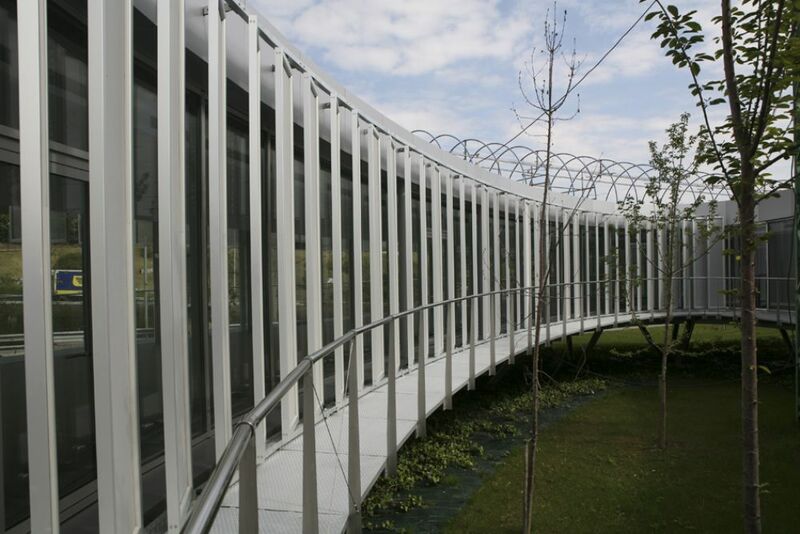 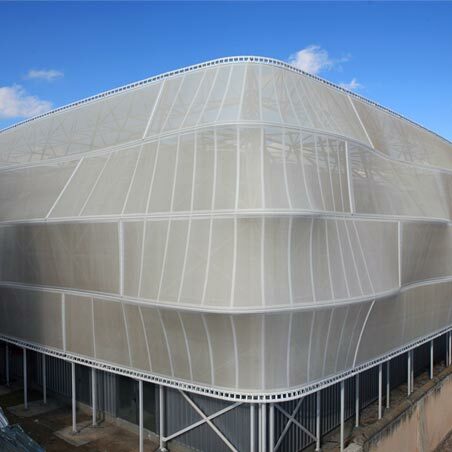 At this centre, located in Bilbao, a project has been carried out which aims to create a sun protection system capable of following the movements of the sun to protect only the part where it falls. 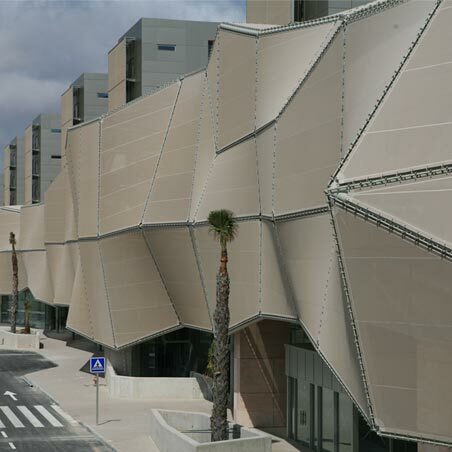 For this purpose, panels in groups of 4 or 2 have been used, depending on the ellipsoidal floor of the building, together with motors which take orders from the automation of the building to move the groups. 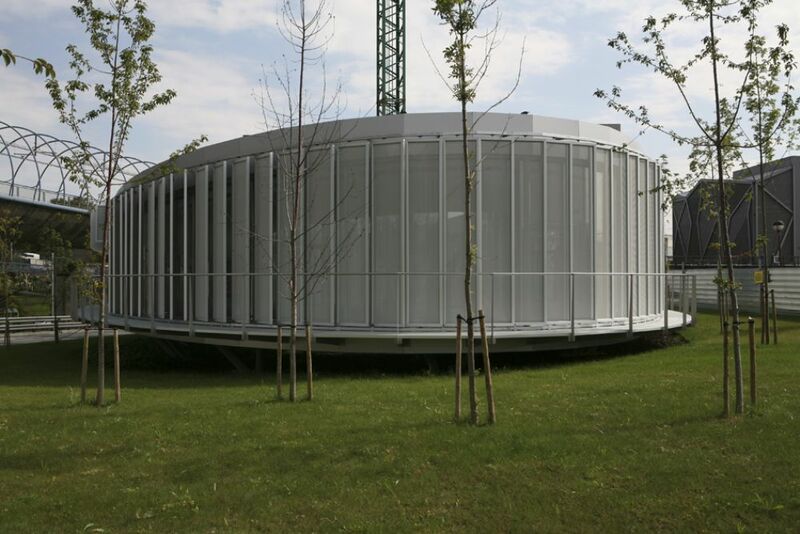 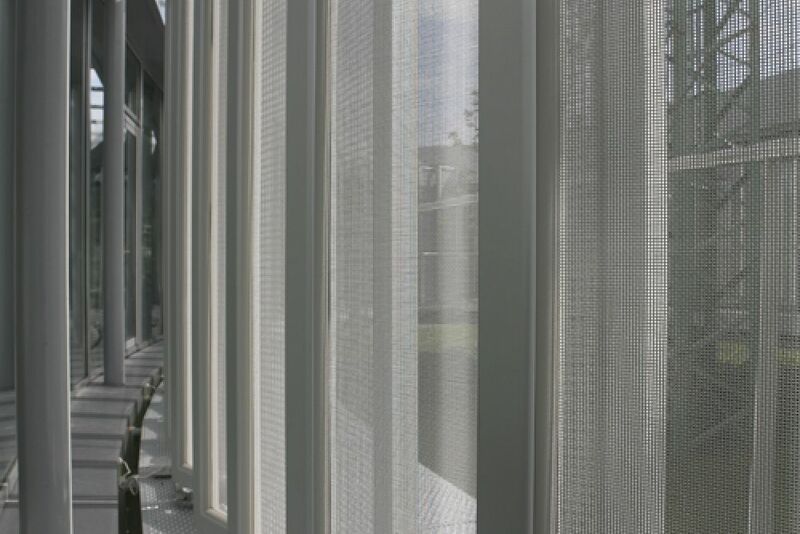 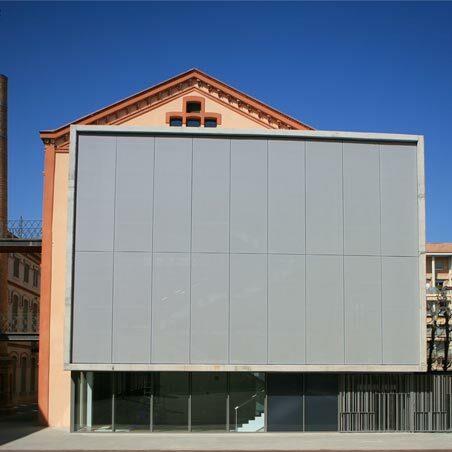 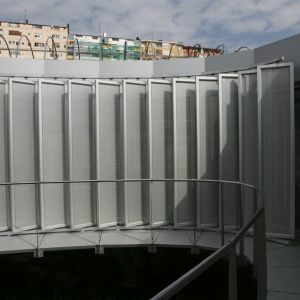 The i-Tensing Frames are made up of a perimeter aluminium frame where the tarpaulin is fixed, creating a tensioned surface with no interferences; said frames are grouped by brackets, and the panels joined together by espagnolettes which guarantee movement of the whole unit in unison. 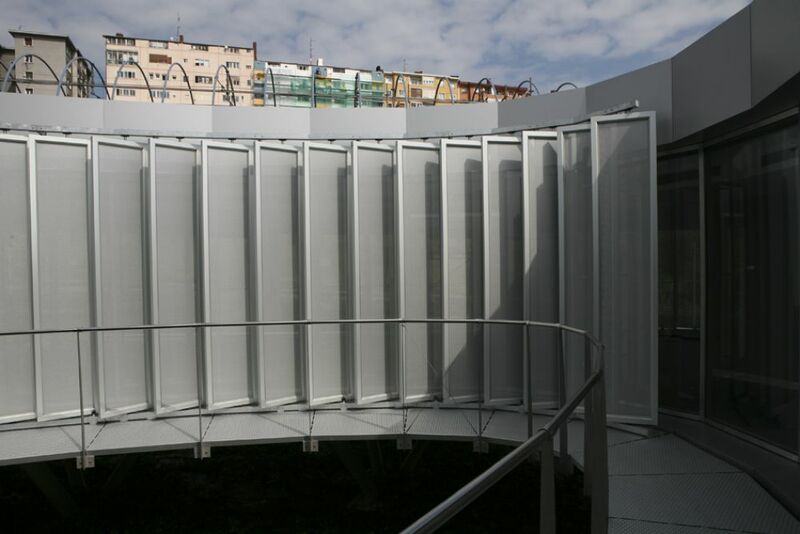 The motors are programmed to leave the panels perpendicular to the tangent of the façade on floor, allowing entry of light and visibility in both directions. 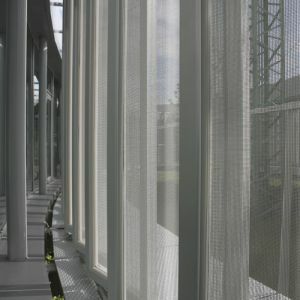 When sunlight falls, the motors close the panels, creating a surface which protects from but does not block the entry of light.